Are you tired of your boring and uninspiring backyard? With our garden gnomes from GardenFun.com, you can bring magic and mystery to your natural surroundings! 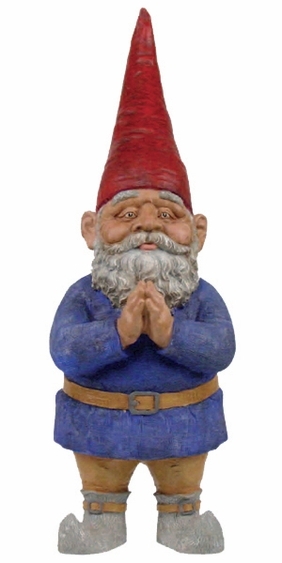 Mordecai the reverent garden gnome has hands clasped together in prayer as the benevolent caretaker of the forests and little creatures. He'd be right at home on your porch or patio, or greeting guests at the front door, and at 15 inches high, is the perfect size for any location. Our lawn gnomes are built tough and weather resistant from high-quality cast stone resin, and are highly detailed and very life-like. Our decorative ideas for lawn and garden can transform your living environment.